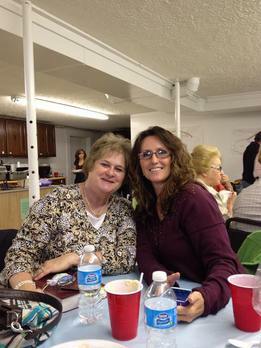 Becky Sampson, assisted by Karen Sampson have hearts for the ladies and desire to see women grow in grace. Much like the men they meet regularly for Bible Studies and prayer. The ladies work is mission driven. In addition to the spiritual side and building up the home, they raise funds by various means for mission projects. Though the work is hard at times, it is very rewarding when lives are changed for the better. Every year the ladies choose to attend a national retreat either in New York, NY, Niagara Falls, NY, a Regional Retreat in Pigeon Forge, TN. The trip is filled with wonderful sharing and endless fun. To learn more about upcoming events and useful resources in this dynamic field check out www.cogop.org/women.